How To Easily WIN A Nord Electro 5D! Always felt like you have a gift, a talent? And have you ever wondered if that talent could only reach the next level if you played on a Nord Electro 5D? Today's you're lucky day, my friend. Time to win yourself one of those beauties! All you have to do is share your own live session! 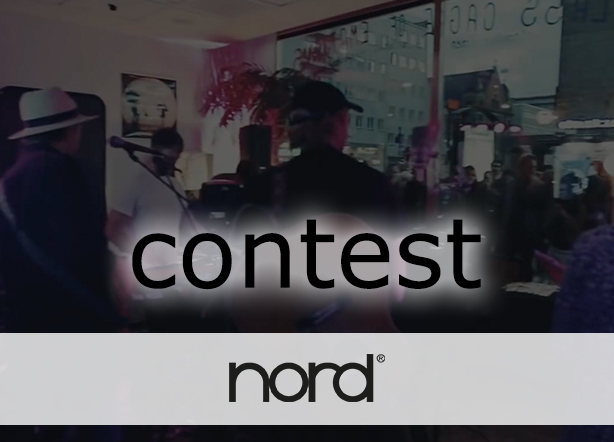 Share your talent with Nord! The most brilliant and inspiring contribution will be awarded with a brand new Nord Electro 5D 61! Showing of your talent can be done in a variety of ways. Solo, jamming with a group of friends, a concert with your band ... The only requirement is that at least one Nord instrument plays an important role in the video! That's important. And also, please make sure the sound quality is good. Thank you. Yes! Time to get yourself a Nord Electro 5D 61! The winner will be chosen by the Nord Keyboards Jury. Good luck! Which instrument is perfect for you?